This was a first for me – I’ve never before made a Pineapple Upside-Down Cake! (Probably hard to believe, but true!) However, this year a Pineapple Upside-Down Cake was what my sister requested for her birthday. I had to stop and think about that one, because I normally do “layer cakes” for people’s birthdays. But why not? I found a recipe online that I liked, purchased all the ingredients for it, and the day it was time to make the cake, I pulled up the recipe and realized that it called for an iron skillet. I have no iron skillet. We moved into the home we currently live in in April, and one of my first priorities was to get the guest room in order. We have lots of friends and family who live out of our area, and we wanted to make sure we had a space that anyone would be comfortable in anytime it was needed. Plus, hurricane season was upon us (we Floridians are well-versed in precautionary measures) and we wanted to make sure we were good to go in case we had power and others didn’t, etc. July 4 weekend we hosted our first guests (my cousin, her husband, their three kids and the best friend of their oldest – so 2 adults and 4 kids in all). Oh, and us. So 8 people in one house. And we seriously had SO MUCH FUN. Did you know that today is Fragrance Day? When I saw that on the calendar I started thinking of all the fragrances that I use in my home, and I realized, WOW! There are tons of them! The first thing I thought of when I thought of home fragrance was a candle. 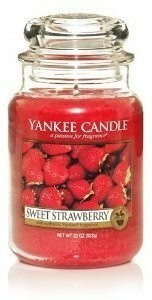 I’m partial to Yankee Candle myself, but I never turn down a candle! 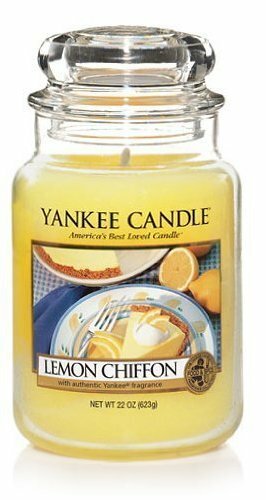 The standard candles that I keep at home to burn are Lemon Chiffon and Sweet Strawberry. I rotate different ones out during the holidays, or in different seasons, but these are my main two. I had to scramble this year to get St. Patrick’s Day put away and Easter in place – those two were pretty close on the calendar this time around! Whew! (I did try to take St. Patrick’s down a little early, but my husband, who “claims” he cares not about my decorations, said it wouldn’t be fair to take down the St. Patrick’s before the day – which happens to be his birthday – was over. So I obliged.) But Easter is now up! I didn’t want to do the same ol’ “Easter colors” deal where everything is pastels because then I wasn’t sure what to do for just plain spring! (Happy First Day of Spring to you all, by the way!) So I decided to go elegant. Cream, gold, and a touch of purple. After all, at our house, we celebrate Easter because He is risen!